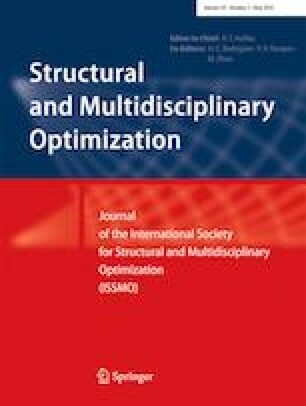 The robust design of structures is essential to improve their stabilities in structural design optimization and has been studied based on a variety of optimization methods. In this study, we propose a non-parametric optimization method for the robust shape design of solid, shell, and frame structures subjected to uncertainty loadings. We adopt the concept of principal compliance to perform the robust shape design considering loading uncertainty and transform the principal compliance minimization problem into the fundamental eigenvalue maximization problem associated with the weighting coefficients of the unknown loadings. The proposed non-parametric shape optimization method for robust design consists of four main procedures: the eigenvalue analysis of structures, derivation of shape gradient functions considering repeated eigenvalues, velocity analysis based on the H1 gradient method, and shape updating. We perform several design examples to confirm the validity of the proposed non-parametric shape optimization method. The optimal results show that the proposed optimization method works efficiently to reduce the principal compliance and enhance the robust behavior of each design example. As a feature, by setting the weighting coefficients, we can enhance the robust of the structures subjected to the unknown loadings at different loading positions and with different magnitudes of the directions of the admissible loading space. Nomenclature Note that vectors are indicated as BOLD font in this study.